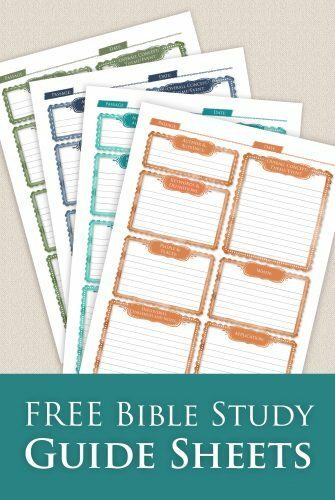 Do you ever wonder what questions to ask during Bible study? 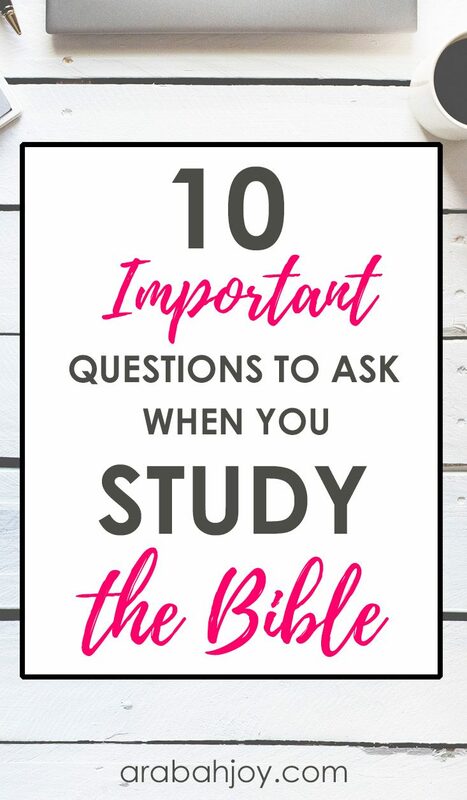 Read these 10 important questions to ask when you study the Bible and grab our free printable Bible study sheets to help guide your daily study time! Years ago when my husband first went into pastoral ministry (we’re talking 20 years ago, time really does fly! ), I remember seeing a book on his shelf entitled, How to Read the Bible for All Its Worth. Needless to say, I never picked the book up, much less read it. Hendricks went on to demonstrate how to mine scriptures with good reading skills and I began to understand that “reading” wasn’t quite as easy as I’d assumed it to be all these years. 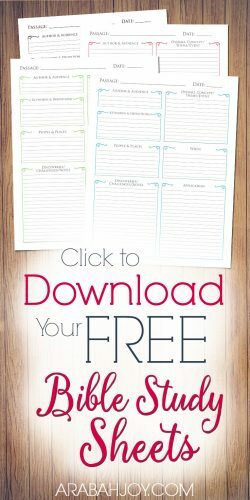 I discovered my reading skills needed a major upgrade… and I didn’t even know it! Good reading starts with keen observation, much like detective work. To be a Bible detective, we must know how to look for clues given in the text and know what important questions to ask when reading the Bible. The good news is, observation is something we can all learn. It’s something each one of us can get better at too, no matter how good (or bad!) we are at it. The best news is that it’s easier than you might think! You just gotta know where to start. Having a simple set of good questions to ask about the Bible, and a few minutes of thinking, is all it takes to start developing your observation skills. It doesn’t have to be complex! 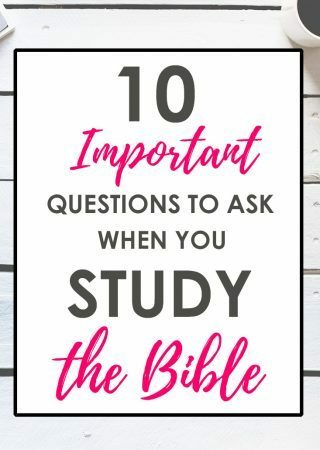 Below are 10 questions to ask when studying the Bible. I’ve learned it’s best to take the time to thoroughly answer them, even if you think you know it already. Simply taking the time to think (i.e. don’t rush!) has exponentially increased the wealth I’m able to discover in a text. One other thing… depending on the passage or genre you’re reading, some questions may not apply. These aren’t set in stone, just a good guideline to use as you work through a passage. AUTHOR: Who is the author? List everything you know about him. Where was he when he wrote this? AUDIENCE: Who is the audience? What characteristics defined this particular audience? THEME: What is the overall theme, topic, concept, or event of this passage? KEYWORDS: What are the keywords in this passage? Be sure to clearly define any key terms. Note: Just finding the keywords can be tough if you didn’t learn this in school. To help, look for repetition, comparison/contrast, cause-effect, transition words, emphasis, main idea terms, etc. Here is a list of common transition terms. It is very common for these to appear in Scripture! VERBS: What verbs are used in this passage? What tenses are used? PEOPLE: Who are the main characters or people groups in this passage? PLACES: Where is this taking place? List everything you know about this location. TIME: When is this taking place? What time of day? Year? Where does this take place on the historical timeline? What was the culture like when the author wrote this? How might culture have influenced this author and audience? CHALLENGES: What questions do you have about this passage? Is there something you don’t understand? APPLICATION: How does this passage apply to your life? There you go… ten questions to help YOU read the Bible for all it’s worth. Try it and see what you think! 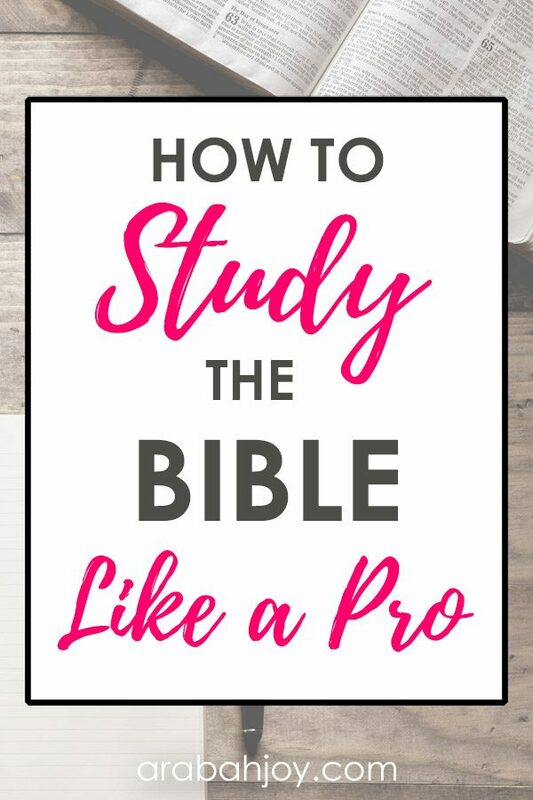 The funny thing…How to Read the Bible for All Its Worth is one of my favorite resources, and one of the first I recommend! Indeed! It’s a great book!